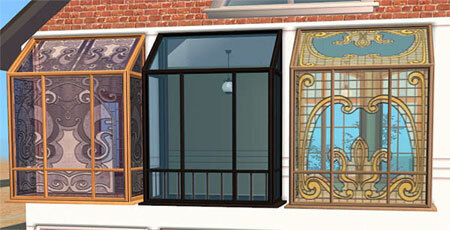 I made this bay window based on the Independent Expressions window from the original game. So it should be available for those of you who do not have any expansion packs. There is a small glitch, however. 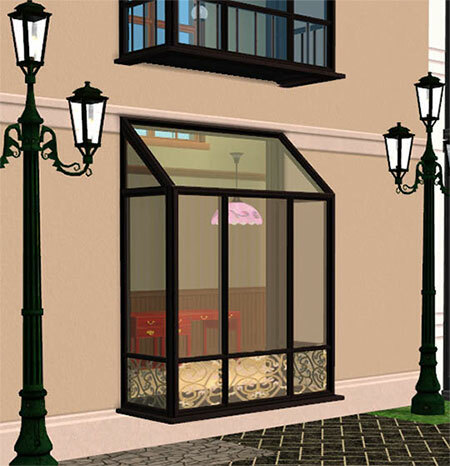 The slot the original window occupies is different from the one that the bay window needs, so sims may sometimes walk through the bay part of the window. I would appreciate if someone who knows how to correct this sends me a message. Please note that the file for download is a rar file. If you only have winzip, check your WinZIP settings. The package file with the straight mesh contains all the recolours. I have borrowed some of the textures of the looky nook window from OFB. Feel free to recolour and use for the buildings you upload on free sites.